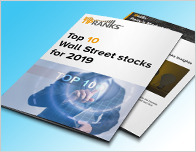 There’s a lot to be optimistic about in the Healthcare sector as 3 analysts just weighed in on Epizyme (NASDAQ: EPZM), Wright Medical Group (NASDAQ: WMGI) and Illumina (NASDAQ: ILMN) with bullish sentiments. In a report issued on June 11, Jotin Marango from Roth Capital maintained a Buy rating on Epizyme (NASDAQ: EPZM), with a price target of $26. The company’s shares opened today at $16.05. 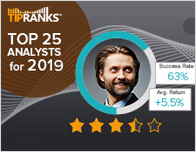 According to TipRanks.com, Marango is a 4-star analyst with an average return of 33.4% and a 60.7% success rate. Marango covers the Healthcare sector, focusing on stocks such as Stemline Therapeutics Inc, Aptevo Therapeutics Inc, and Aptose Biosciences. Currently, the analyst consensus on Epizyme is Strong Buy and the average price target is $24.38, representing a 51.9% upside. In a report issued on June 4, Oppenheimer also assigned a Buy rating to the stock with a $25 price target. In a report released today, Craig Bijou from Cantor Fitzgerald reiterated a Buy rating on Wright Medical Group (NASDAQ: WMGI), with a price target of $30. The company’s shares opened today at $25.75. 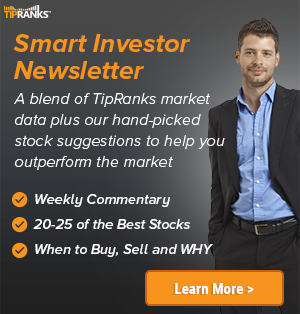 According to TipRanks.com, Bijou is a 4-star analyst with an average return of 25.1% and a 71.0% success rate. Bijou covers the Healthcare sector, focusing on stocks such as Zimmer Biomet Holdings, Integra Lifesciences, and Stryker Corporation. Wright Medical Group has an analyst consensus of Moderate Buy, with a price target consensus of $27.50. In a report issued on June 11, Mark Massaro from Canaccord Genuity maintained a Buy rating on Illumina (NASDAQ: ILMN), with a price target of $316. The company’s shares opened today at $292, close to its 52-week high of $293.15. According to TipRanks.com, Massaro is a 5-star analyst with an average return of 17.5% and a 64.2% success rate. Massaro covers the Healthcare sector, focusing on stocks such as HTG Molecular Diagnostics, Orasure Technologies, and Idexx Laboratories. 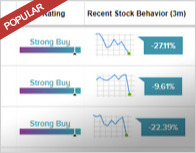 Illumina has an analyst consensus of Strong Buy, with a price target consensus of $289.75.